Sciatica is a medical condition that affects the sciatic nerve, causing pain from the lower back to the legs. It is often a symptom of another underlying medical problem. Along with leg pain, this condition might involve sensations of numbness, weakness, and tingling. Some may experience a sharp, searing pain instead of a dull ache. The symptoms of sciatica worsen when sitting or standing; pain can be avoided by lying down or taking a walk. Where will sciatica manifest itself? Sciatica can impact one or both legs. The sciatic nerve is the large nerve of the body, running from the lower spine to the back of each leg. The pain often occurs in the lower back and then radiates into the back of the thigh. Sciatica is often the result of a degenerative spine condition. Degenerative spine conditions lead to an unstable spinal structure over time. Causes include tumors, spine misalignment, herniated discs, bone spurs, pelvic injuries, fractures, neural damage, and abnormalities in the nervous system. While this condition can be chronic and extremely painful, it is rarely life-threatening. However, anybody who is experiencing sciatica should seek professional help from a chiropractor. How can a chiropractor help treat and manage sciatica? Sciatic pain should be treated by addressing the cause of the pain. A physician should be able to perform some tests on you to determine what is causing sciatica. In the meantime, the pain can be managed through a variety of techniques, including pain medication, physical therapy, rest, ice packs, heat packs, and lifestyle changes that will ease spinal stress. Treatment will likely depend on the severity of sciatica and what is causing sciatica. Treatment plans range from spinal readjustment to postural correction. Massage therapy and spinal decompression are also options. Will I need surgery for sciatica? While most patients are treated with nonsurgical methods, in some situations surgery is needed. In cases where the patient has neurological dysfunctions, spinal stenosis, or bladder dysfunction, surgery may be required. Some severe diseases or conditions require surgery. How is a sciatica diagnosis made? During your medical visit, the chiropractor will ask you questions and perform an examination. The doctor may order for image testing to view your spine. 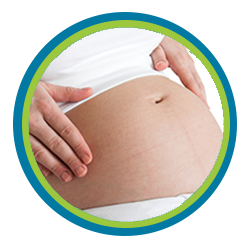 Once the doctor is able to identify the cause of your condition, he or she will develop a plan of treatment for you. 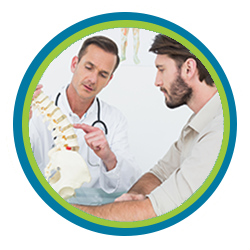 Our Scottsdale center is dedicated to bringing the best chiropractic services available. Contact us at 480-462-5583 to schedule an appointment?